Legal entanglement can be extremely stressful, whether it's a criminal prosecution or a civil lawsuit. You're taking a tremendous risk if you don't have solid legal counsel and representation at your side. 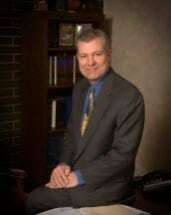 Michael J. Studtmann, P.A. specializes in those areas of law most likely to affect individuals just like you. Attorney Michael J. Studtmann has built a strong reputation for protecting the rights of his clients ethically and competently. If you are interested in having Michael Studtmann assist you in your bankruptcy case, please read our letter to potential clients first. This letter contains resources to help you better understand the bankruptcy process.